Even if you live in a state that allows suppressed rimfire hunting, air rifles can be an absolute blast for squirrel hunting. I’ve done my share of squirrel hunting, but up until the last few years I always made use of a .22 rifle to do the job. That is until I got my hands on my friend’s air rifle at the shooting range, and learned just how accurate and powerful they’ve become. I was astounded at how capable air rifles now are, and knew I had to pick one up for small game hunting. Since then I’ve gone through several different air rifles, and I found that I prefer hunting small game with air rifles over a .22 rifle. They are generally quieter, they offer the same level of performance and they are more affordable to shoot. Overall these guns are just as capable for most small game hunting. Choosing an air rifle for squirrels is tough though. It needs to be accurate, powerful and easy to reload in order to do a decent job, which isn’t always easy to find in a standard air rifle. That’s why I’ve taken the time to put together this guide on squirrel-ready rifles that you can pick up. They focus on cool weather hunting, when you would likely be out in the woods trying to nail a squirrel or two. Power – Taking down small game doesn’t require a significant amount of force, but it’s important to have enough power for humane hunting. Look for a rifle that offers the speed and dropping force that’s necessary for squirrel hunting. Accuracy– While power is important, it’s nothing if you can’t hit your mark. The rifle should be able to hit a 1” mark accurately from the distance that you will be making shots. This gives you the precision to effectively hunt small game and make kill shots in the appropriate locations as necessary. Cold weather performance – Most squirrel hunting will take place in cool weather, that means that you won’t want to make use of a CO2 rifle. That’s because CO2 doesn’t function properly in cold weather. It’s better to rely on compressed air, Nitrogen or a cocking mechanism. Ease of Reloading – There’s not always going to be a lot of time to reload the rifle after making a shot. A gun that’s easy to reload can provide you with an additional shot before the squirrel is out of range. That’s not a luxury offered by some rifles. Standard Caliber – It’s convenient if the rifle accepts a pellet caliber that’s standard. This makes it easy to obtain ammo when preparing for a hunt, and it also means that ammunition is more affordable. The Gamo Varmint Rifle is a lean mean killing machine for budget-minded buyers. It’s a solid performer with a simple pump mechanism. The rifle fires pellets at up to 1250 FPS, but lead shot travels at closer to 1000 FPS during regular use. The one thing that I really noticed about this rifle during use is that it’s loud. If you pump it a few times it sounds like a .022 going off. It is highly accurate though, and can be used at up to 30 or even 40 yards without issue. It’s a good stable performer and comes with a rifled barrel and a 4 X 32 scope for accurate targeting. The Ruger Blackhawk air rifle is a solid tool for hunting or target practice. It’s highly accurate when zeroed in properly and is relatively easy to maintain too. The rifle offers a shooting velocity up to 1,000 feet per second and it accepts a 0.177 caliber pellet and can be used with a variety of pellet styles for different purposes. While it’s possible to swap the stock scope with an aftermarket one, it’s not necessary under most circumstances. The included scope is reliable and accurate and a pretty good tool for most people. It comes with a pretty decent warranty as well if it has any issues, but this is a solid gun that’s reliable for long-term target practicing or for hunting small animals. The Benjamin Titan GP Nitro Piston air rifle comes in two different varieties, the 0.177 and the .22 caliber, and both varieties are excellent. Cocking the heavy spring is a bit difficult, but the rifle puts out an excellent amount of power and offers quality shooting accuracy when configured properly. This rifle looks nice but it’s a powerful tool for hunting or target shooting. The .177 pellet variation shoots at up to 1,200 feet per second and the .22 version offers a respectable 950 feet per second of output. There are a couple fixes that take this standard air rifle to a top quality shooter though. The first is tightening up the trigger with a set of washers, and there are many guides out there that teach how to do this. Doing so makes the trigger much more enjoyable to use. The second is tightening the scope with a 11mm to Weaver adapter rail and adding a set of standard scope rings. This creates improved shooting precision overall and makes this air rifle into a world class tool. When shopping for a .22 caliber pump air rifle, the Benjamin 392 Bolt Action gun is a good performer that’s worth considering seriously. 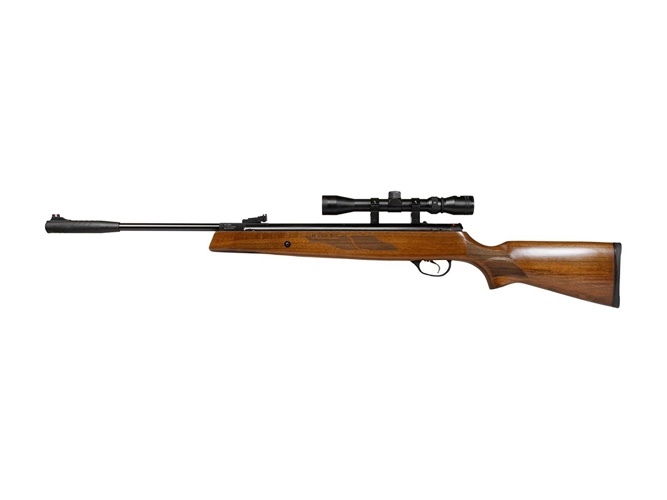 It’s very quiet for an air rifle of this type, and it puts out enough power for accurate shooting at decent distances. The rifle relies on a simple pump mechanism that’s somewhat difficult to initiate, but it’s doable for both men and women and probably some teenagers as well. This single-shot rifle is good for squirrels, for target shooting and a range of other small animals that you may want to take down. It shoots at up to 685 feet per second, which is a bit slow compared to other air rifles on the market, but it’s nice and quiet and offers enough power for mid-range shooting. The Hatsan 95 air rifle mixes together excellent accuracy, quality parts and beautiful walnut wood to create a top-quality air rifle. There are versions of the rifle that support .177, .22 and .25 caliber pellets, and each offers decent performance. The .177 is the longest shooting and most accurate at approximately 1000 feet per second, but the .22 also offers good quality accuracy. 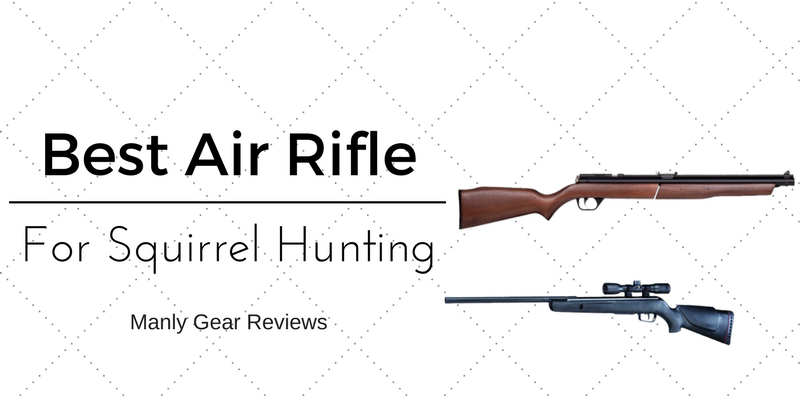 There are two features that stand out nicely about this air rifle. The first is the high quality two-stage trigger. It’s comfortable to engage and has just the right amount of pressure, making it easy to take a shot exactly when you want to. The next thing is the German steel barrel. It’s precision milled, it looks beautiful and offers good quality accuracy right out of the box. This rifle comes with a decent scope for short to mid-range shots, and the open sights are top notch. Some will want to invest in a higher quality scope, but the stock one is suitable for squirrel hunting or target shooting. Overall the Hatsan is a fun rifle with a lot to offer for the price.